A giant rotating disc is center stage at Classic Stage Company, the Off-Broadway theatre on East 13th Street dedicated to presenting canonical plays and musicals for contemporary audiences. The disc is part of the sets for two plays by August Strindberg currently being presented in repertory: Mies Julie, an adaptation of Miss Julie by Yaël Farber set in post-Apartheid South Africa, and The Dance of Death, adapted by Conor McPherson. 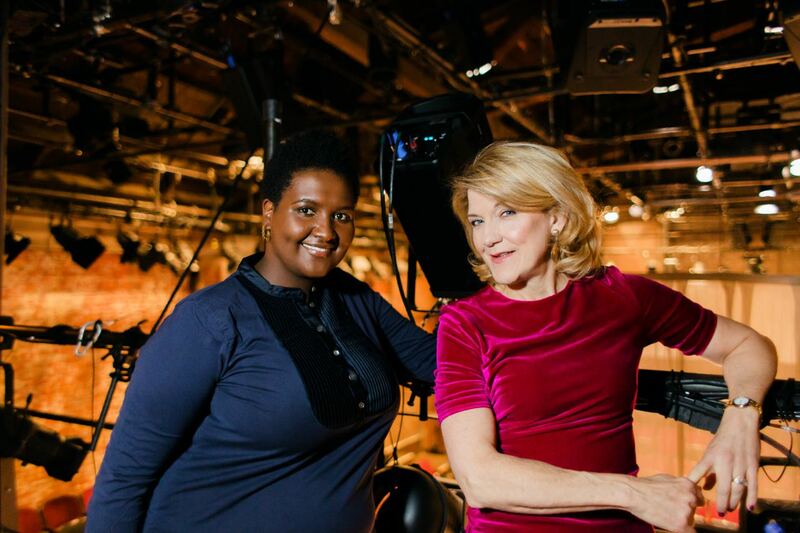 The plays are being directed by Shariffa Ali and Victoria Clark, respectively, in a first for CSC: having work in repertory, and having work on their mainstage that is decisively from a female point of view. 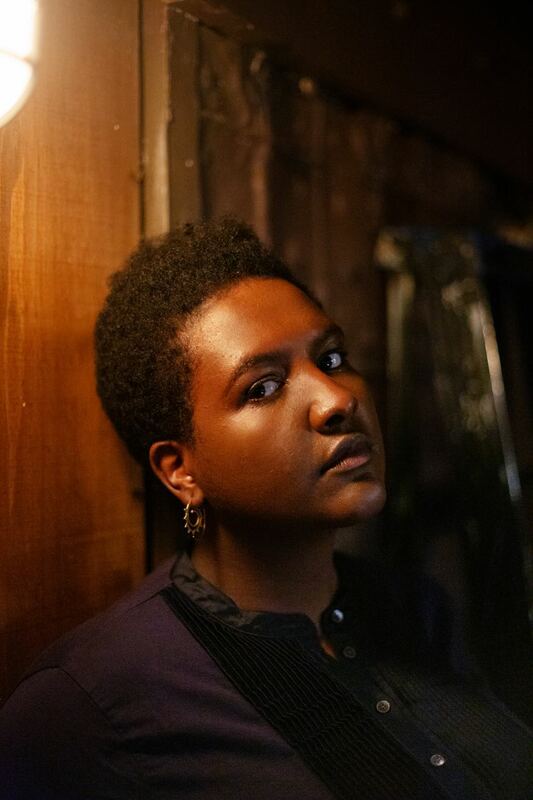 Shariffa Ali, who describes herself as an Afropolitan director, has worked at the Public Theater and has been directing steadily at universities in the tri-state area. 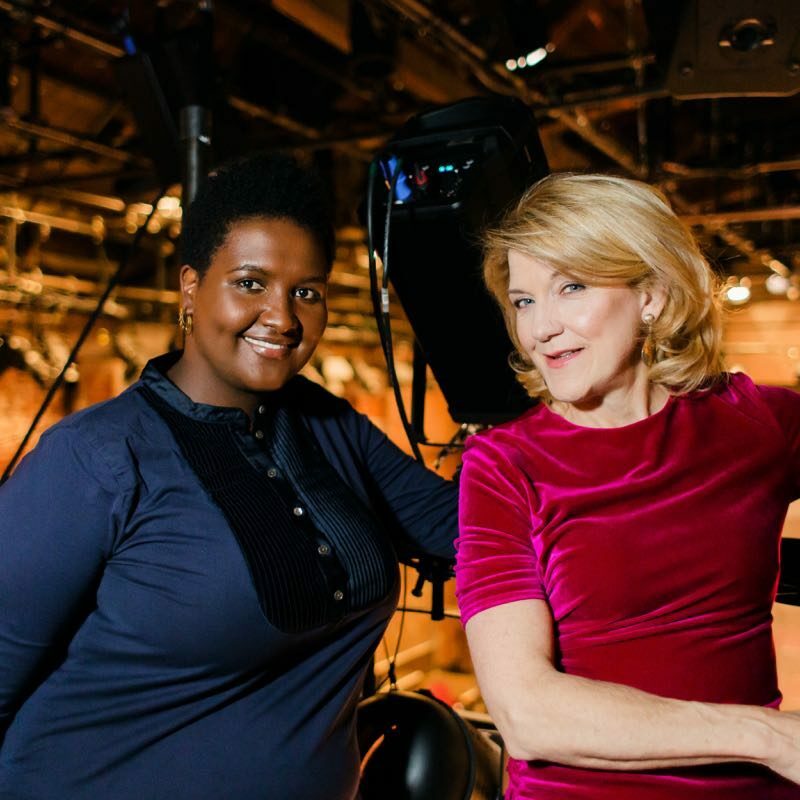 Victoria Clark is perhaps best known as a Tony Award-winning actress, but started her career with the goal of becoming a director and in recent years has returned her focus to that discipline. 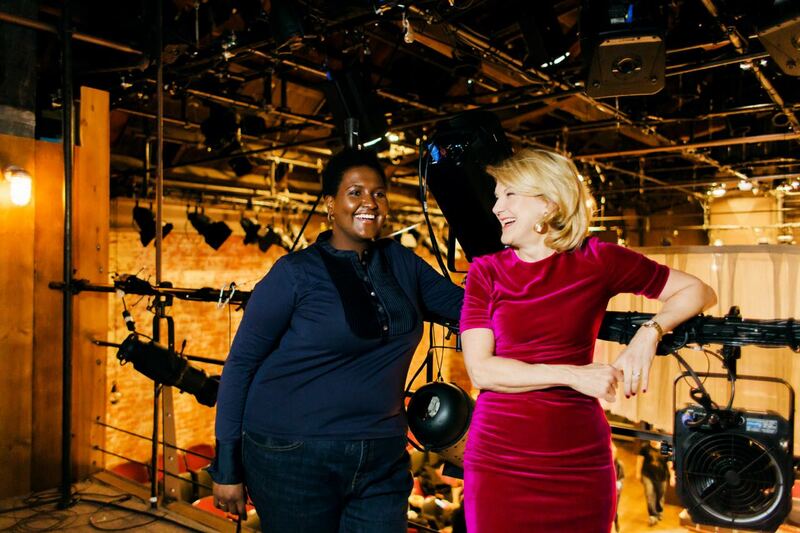 With these productions, they’re two of the few women who have helmed major Off-Broadway revivals of classic work (revivals of both classic plays and musicals have been overwhelmingly directed by white men). 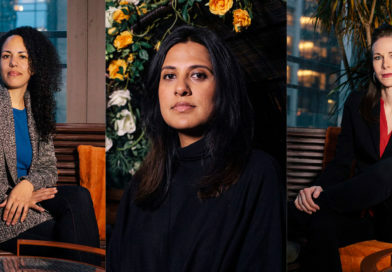 I recently spoke with them about their visions for doing Strindberg in 2019, working in repertory, the pressure on female directors, and more. How did these projects come to you? What was the initial thing that attracted you to them? Shariffa: John Doyle [artistic director of Classic Stage Company] offered me the opportunity to direct Miss Julie, and I was really intrigued and interested. But one thing that I knew for certain was that I was very committed to doing an adaptation that was more reflective of the world that I come from. And so, I offered up a South African adaptation of Miss Julie called Mies Julie, set in the Karoo in South Africa. I had bought a ton of copies of different adaptations, but that was the only one that I offered up to John as the one that I was most interested in doing. Shariffa: You started as a director? Oh, wow. Victoria: That’s something a lot of people don’t know. I went to school at NYU, and graduated from their musical theatre program as a director. So I’m sort of trained on new musicals. And then I accidentally became an actor, and that lasted a really long time. It’s still ongoing, but I have been putting the word out that I wanted to get back to it now that my son is grown and is at college. I feel like I’m able to get back to my first love [directing]. John and I had tea, and we discussed. He didn’t really say very much. He mostly just listened, and then he called me out of the blue and he goes, “I’ve got it. Meet me for tea.” And we met [again], and he said, “a Strindberg play.” And I was like, “Oh, no. I know nothing about August Strindberg.” He goes, “It’s totally fine.” He goes, “Just read this adaptation that I found.” It was by Conor McPherson, and I really like Conor’s work. I loved [the adaptation] so much. I found this particular adaptation to be very contemporary, and I thought the language was really surprising and funny. And even though its subject matter is kind of horrific, it’s like watching a car wreck in a way, there was something funny about it too, sort of like real life. There’s something so real about the characters. So I said yes, even though I felt like, “What the heck do I know about it?” It was a great opportunity. Shariffa: It’s an immense opportunity. Before I could even process what the offer was, I immediately said yes. Because I know John and I respect his work. I also know that Classic Stage has a reputation for creating and re-staging really brilliant works that are part of the canon. To feel invited in this way was really exciting. Victoria: I agree. I was very honored that he asked me to be involved this season. And he seated Shariffa and me together at opening night of Carmen Jones. That’s where we met. And I just fell in love with Shariffa immediately. Her warmth and her sensitivity to what she was watching gave me a real insight into her world. When you first start working on something, do you find you work textually first? Are you visual? What was your first way into thinking about the pieces? 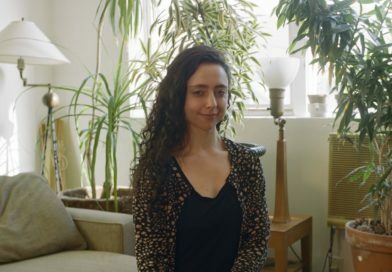 Shariffa: I’m an emerging director, so I’m still figuring out what my process is. But in this particular project, my spirit was open and I decided that I would go into the room with hunches, ideas, and proposals, but not answers, and see how this could truly be a collaborative effort. How the spirit or the energy of Classic Stage could make its way into the room. How being in tandem with another piece, could make its way into the room. Vicki is a titan. She’s a living legend. And to be able to share this platform in this way was not only daunting, but my wildest dreams. And then to be in close proximity with this living legend, and to find that she is a kind, generous individual who is constantly making space for me and constantly affirming me, that’s probably the best part of this. I come in with a series of hunches, and then I get to be supported, not only by the institution, but by the person that I’m sharing the stage with. That’s been huge. Victoria: I also didn’t have a singular vision for this project. Honestly, when John Doyle said I have an idea for you, I thought it was going to be Merrily We Roll Along with like four people, with me playing the accordion underneath the seats somewhere. I thought it was going to be a musical. So, I have just relied heavily on collaborators. The first thing we did was to try to get a sense of what this world looked like. I can’t really say that I loved the play [when I read it]. I was fascinated by the characters, but it wasn’t like a world that I understood immediately. It was something that I was fascinated by, and I keep saying car wreck because I slowed down and I paid attention the same way that I would pay attention to a ten car pile up on I-95. That’s how I kind of slowed down. And then, working with David Arsenault, Stacey Derosier, and Tricia Barsamian, our design team, I just listened and looked at their research. I brought my research in and I started with animals in a cage. And then—talk about gaining inspiration from each other—it was actually Shariffa’s idea to have an elevated disc. I thought, “This is brilliant.” So I was like, let’s put them all in a cage. Because I started visually, and the images that kept coming up for me were two things: curtains blowing in the wind, which we have, and then, beautiful animals that are in captivity who would like to be free, who can’t be free, who are trapped. So, that’s how I started. What was the process like of collaborating with each other? Having two plays in rep is unusual in New York City. What were the practical aspects of that collaboration, and also the more intellectual parts of having these two shows in conversation with each other? Shariffa: The most exciting aspect was that we got to speak to each other in our design processes. Even when we weren’t in direct conversation with each other, when we were communicating to our designers, I felt your spirit in the room. And I think being able to hold space in that way was truly important. So that’s the first thing I’d like to say about working in rep, is that we’re holding and sharing space for each other. Shariffa: And I’m learning from you how to trust my own instinct and my voice. To remind myself that those things are valued. Victoria: And your background and your history and your point of view is important. Both of these are adaptations. Victoria: We’re the angry European play. Shariffa: And we’re the angry South African play. Why did you feel these plays should be done now with these adaptations? How important was it to both of you to bring them into the current moment? Shariffa: I’m still learning the vocabulary around how to speak about South Africa, because my relationship with the country I grew up in is quite complicated and I’m learning about the ways in which systems that were built in South Africa under the Apartheid era still remain present. That’s why this play is fascinating to me. Life for millions of South Africans, particularly black South Africans, has not changed since the liberation that came with the end of the Apartheid era. Since 1994, people still live like they’re in a pre-civil rights era. There’s something about gaining distance from that, physical distance, being here in the U.S. and learning from the recent movements and the ways in which we are learning about the vocabulary around oppression has sparked an interest in me in revisiting my childhood and revisiting South Africa. In this adaptation of Miss Julie, the issues of class are able to be lifted up because South Africa’s racial and cultural dynamics are still hinged on difference. The South African backdrop really lifts up those class differences, and in a stark way. I was really interested in bringing that to an American audience again, six years after [this adaptation] premiered here, in a very different America, where difference and class difference and racial and cultural issues are under the spotlight and are being discussed in really interesting ways. I think I’m excited to bring this adaptation to New York at this time because I think we will see a lot of resonance between the charged racial tensions in Mies Julie and some of the tension across gender, across race, across class that we have currently in New York and in the U.S.
Victoria: It’s something that we ask ourselves every day in rehearsal: why now? And what can we teach each other, what can we learn about ourselves and what can we share with the audience about what we’re learning? One of the things we’re exploring in The Dance of Death is the power of language. You have a man and a woman who have been married for 25 years and they have ceased to speak with respect. The power of their language to destroy the other person is palpable. The power of words is something that we’re dealing with right now in our country, with the president who tweets before he thinks. And we’re watching how it can basically cripple a nation. Words are important, the words we choose are important. This play is also about relationships and communication. Not just the words we use, but how do we communicate as we change and grow in a committed relationship? How do we communicate with respect? And by seeing the vacuum of that, by seeing the opposite of that, by seeing the terror of what it is to be stuck in a situation that seems untenable, we see how not to be. It’s sort of like, this is what you don’t want to become. In some ways it’s a morality tale, it’s a cautionary tale about communication and language in relationships. And even though the play was written over a hundred years ago, you still have this brutal honesty about what relationships are. Not what they’re supposed to be, not a romanticized vision of what relationships are, but what they truly are when people are under stress and when people are at their wits’ end. As you both ask the question of how these plays relate to today, does this seem like a challenging time to be doing that since it seems like history is happening so quickly and there’s so much happening politically, culturally, and in the news? There’s a less static feeling from day to day. Does that affect you as directors in the rehearsal room? Victoria: For me, it’s not so much the barrage of news that comes at us every day. For me, it’s that every day I’m a woman running the rehearsal room. And that my energy is so different than any other director I’ve ever worked with as an actor. I’m just acutely aware of that. That’s the awareness I come into the room with, wanting to make sure I’m on my A-game and wanting to make sure whatever is happening in the world is resonant, but I see most things particularly through the eyes of gender and through the eyes of scarcity of women in leadership in this business, and in terms of storytelling in general. In other cultures, you go to the older women in your community and they would teach you and they would heal you, and they would provide a life’s worth of history. But in our culture the wise woman is not revered, the wise woman of older experience is not valued. We are the underdogs being pushed aside for youth, and something sassy, and the fresh, new thing. And so that’s the context for me culturally. The statistics for female directors across the board isn’t good, but one area that’s especially bad is who gets to direct classic work. Revivals of both classic plays and musicals are overwhelmingly directed by white men. Does that feel like added pressure? Shariffa: I was speaking with friends, and we had a moment where we said the things that were keeping us up at night. Someone said, “Where can artists of color feel free to fail safely?” That’s what keeps us up at night, that you only have one opportunity. And so, if you’re a woman, if you’re an immigrant, if you’re a person of color, if you’re queer, everything always feels like if this doesn’t go well, I’m done. I’m done in this town, I’m done in this country, I’m not legit. [Because I’m not a U.S. citizen] I have to prove to the government why I deserve to be here every three years. I have to pull together all the things I’ve done and jump through bureaucratic hoops to prove my legitimacy in this country. So to be in a female body and to have this experience, and then to hear that there is such disparity, I can see why. It takes a lot to have to break ceilings and overcome hurdles and barriers. In the same way that we are doing ourselves a disservice if we’re not listening to people who are wise and are older, if we’re not listening to women, we’re also doing ourselves a disservice. If we’re not listening to people of color or people who reject the gender binary, we are doing ourselves a disservice and we’re putting a cap on our industry and we’re putting a timeline on how long we can be relevant and legit. Shariffa: Yeah, you have to see it to be it. Victoria: I feel like I’m this cement mixture who’s like errrrr, and I just want to pave the road. I seriously just want to get the road made. So that other people can say, “There it is,” and we get a little bit of a track record going here. Victoria: And can be replicated, right? Shariffa: With other people, and so that others get that opportunity. Did you both have female directors as role models? Or directors you’ve learned from, especially Victoria having done so many shows as an actor? 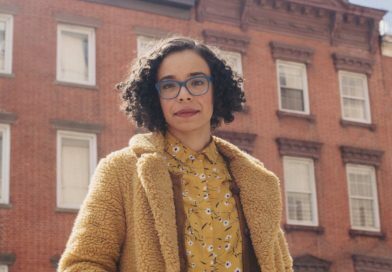 Shariffa: I really admire Laurie Woolery, who was the first Latina director of Shakespeare in the Park [as part of Public Works], a few summers ago. And Lear deBessonet, who established the Public Works program and who’s a director in the city. They’ve been mentors of mine, and they have made space for me to pursue this artistry. Through watching them direct, and being in a room with them, I’ve learned so much about my own practice. Cynthia Nixon is my mentor and my fairy godmother, as I like to put it. In addition to allowing me to observe her directing and allowing me to assist her, she went on a gubernatorial campaign this year, and what a great feat to take on. And how cool is that, to have a role model who sees the ways in which our leadership, our politicians, are not serving us, and had decided to use their platform to shift things and to move the agenda left. I think even beyond theatre there are women who have paved the way and who have made space. Victoria: What have I learned from being an actor in the room for so many years, that would take like a whole afternoon, because all I do is study what directors do and how they do it. I really think it’s more important as a director how you communicate something and when you say it, than the what. Because anybody can come in and say, “Move there, move there, think about this, think about that.” It’s what is going on in the psyches of all the artists who are contributing to the project. I realize I direct the same way that I act, which is I don’t tell myself how it’s going to go. John would sit down with us at various points along the way and say, “How’s it going? Do you guys want to have a chat?” And I called him one day and I was like, “I’m finding I do this like I act.” He goes, “Well yeah, because you’re the same person.” So when I act it’s sort of like a labyrinth, I just start at any point and I circle around what I know first, and then I just keep circling deeper and deeper there. And then, once that moment becomes clear, then I do the moment next to it, or the moment on the other side of it. In this process, I asked myself to be brave like that. I asked myself to not know, because I didn’t know. I didn’t know what the hell the play was. And so, I was like, “You’re just going to have to do this the way you do hard acting parts, where you just go in the room, and you just trust.” And luckily these actors were so patient and kind and allowed me to work in a very non-traditional way, I would say. But every director I’ve worked with has taught me something valuable. I think there have been some people who have paid special attention to me, like Bartlett Sher and Craig Lucas. Stacey Mindich, the producer. Daryl Roth has been very supportive. The writers who I’ve been making work with: Heath Saunders and Kim Saunders, Daniel Matte, and Hannah Cole. These people, just by believing in me, have sort of strengthened my belief in myself. You’ve had very different paths, but earlier in your directing careers, what was the biggest challenge and how did you get through it? And, going forward, what do you see as being the biggest challenge and the thing you’d most like to accomplish? Shariffa: Yesterday I said to someone, “How do I get better at not getting stressed out about what’s in front of me? How do I get better at improving my sense of perspective?” And she said, “Well, think about whatever you were stressing about six months ago. What was the thing that was keeping you up at night?” And I was like, “Huh, I can’t remember. I can’t really remember.” And so that’s something to take with you in any moment, whether in directing or otherwise. Anything that’s stressful, you have to get into the mindset that the universe will work it out the way it’s supposed to. And six months from now, I’ll barely be able to remember this moment of stress. Let alone six years from now. But one thing that still remains traumatic for me is the acquisition of my artist visa. It was the hardest thing that I’ve ever done. Because it was the thing that I fought really hard for and had to, as I said, jump through bureaucratic hoops and prove why I deserve to be here. And ask every person who I’ve ever worked with to write letters of recommendation, and boast about me, and say why I deserve to be in the U.S. And that was really traumatizing, because someone behind a desk can determine whether you’re good enough. Whether you’re of “extraordinary ability.” Who gets to make these decisions? And when I think of other people who are in similar journeys, with immigrating to the U.S., and this notion of just wanting to be given a shot… I feel very privileged to have been able to afford lawyers, to have the support of a family who is really invested in my career. But that’s been the biggest challenge of my career, getting an opportunity to be here. How many hundreds, if not thousands of directors from the African continent, or from other countries around the world are existing in the places that don’t have the same infrastructure, and who want to be here? Who want to be working Off-Broadway, but don’t get that opportunity? Victoria: I think all the rejection [has been hard]. For 36-plus years, I’ve had tremendous luck and good fortune. But I think the toughest thing has been not really taking to heart all of the things people say. When you’re an actor people can say whatever they want, they can print whatever they want. You’re rejected all the time. You have your heart set on playing a certain part, and it doesn’t come through. And so, the hardest thing has been managing all of that rejection, and what people say about you. [Like people saying] “You’re not really capable of doing that.” I had one time where I couldn’t even get an audition because someone said, “Oh, she’s not deep enough, she doesn’t have the depth to play that part.” So all that rejection has made me stronger and has made me really identify what it is about myself that believes that telling stories is important. I think that my perspective of turning a lens to a story like Strindberg is, I think, a wonderful challenge. And it’s a wonderful opportunity because it’s definitely not a man’s perspective. I see the world of our play through my one female character’s eyes. And there’s no way I couldn’t, because I really see it through the perspective of the wife. And so, for that reason, if that’s the only reason why, I’m glad that John asked me. It’s because audiences deserve to see the play through her point of view. I think in terms of the future, I just want there to be more opportunities. I just want people to know that they can give more people chances, artists across the board, not just directors. There are so many brilliant pieces that are written already, that just need a producer. And we seem to keep going back to people in this club or that club and that friend of that person. I think we need to build a stronger network so that we know which pieces are finished, who needs what stage of development and when, and who’s available. And let’s open the gate, let’s make the stable a little bit bigger, let’s invite more ponies to play. Let’s open the door. Let’s hear more stories, let’s listen to more stories. Shariffa: I think my dream is to be able to run an institution. And hopefully see the industry shift towards having more people who look like Vicky and I running institutions. My dream would be to train people at various levels, and to groom them and make their work. So to be a theatremaker in every sense of that word.